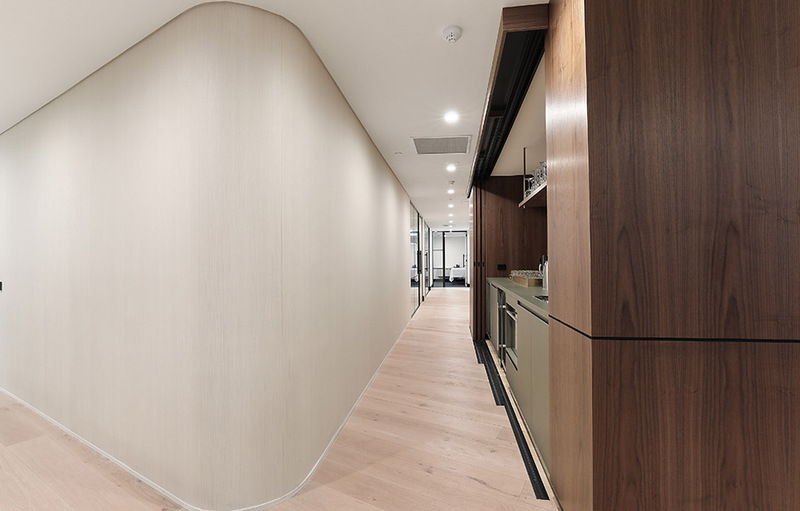 Following Valmont's successful design and fit out of their previous office, YPOL presented a brief for a new, larger premises. 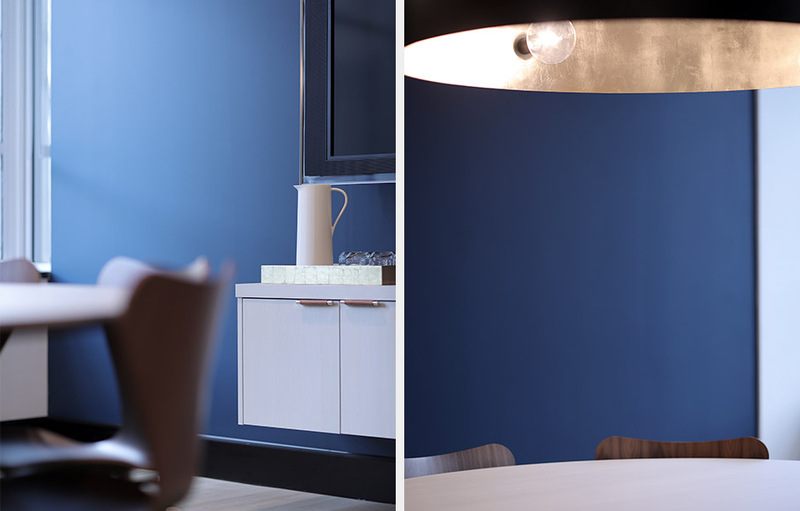 This wider instruction identified the need for a unique fit-out that is as classic as it is contemporary, as versatile as it is personal. YPOL needed it to be tailored to their desire to break conventional boundaries and enable better performance and entertainment, allowing staff to thrive. 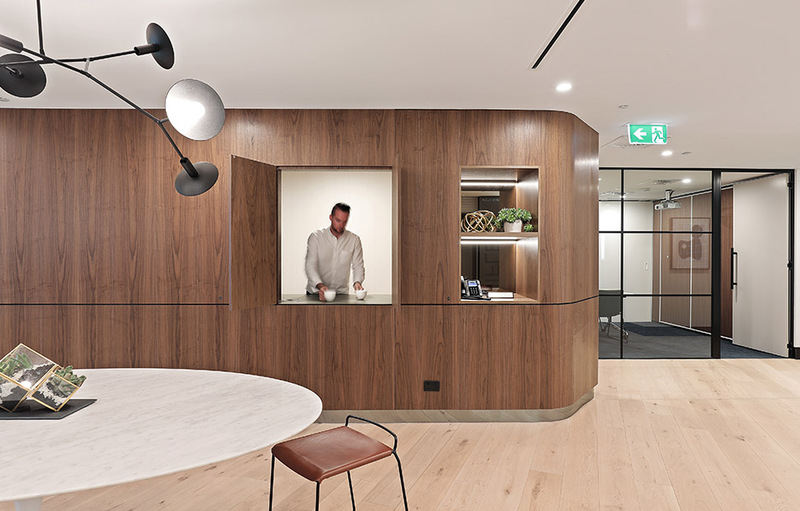 The need for a classic yet modern fit out style led Valmont to design an iconic mid-century palette that pays respect to the heritage building it resides in. This includes rich walnut veneer, timber and leather materials integrated with curved surfaces and olive green and navy hues. 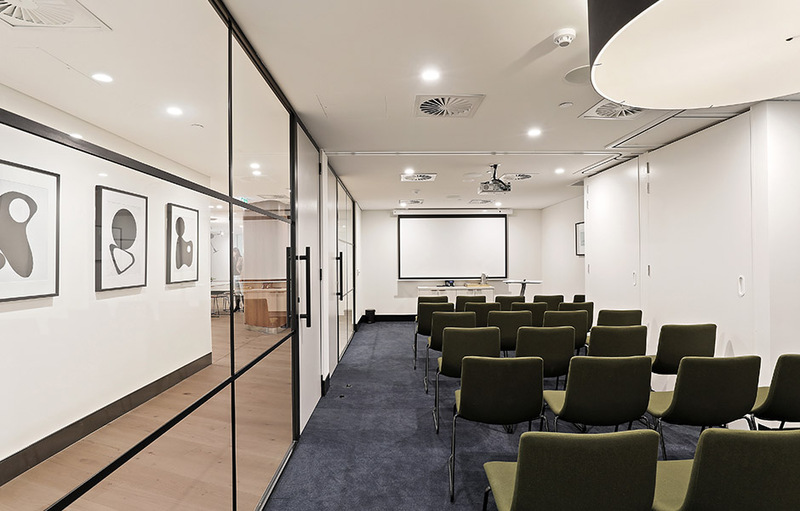 The front of house consists of a reception/waiting area, which doubles as a break-out and entertainment area, a boardroom, and 3 inter-connecting meeting rooms that transform into one large function space via operable walls. A highly customised central kitchen unit satisfies all the catering needs of the host, including a dishwasher, a Billi tap for cold and hot water, wine and glass storage, built-in multiple bin unit, and a generous bench for preparation. The kitchen is designed to be accessible from both sides, accessed from back of house by three sliding doors which perfectly conceal or expose the space. 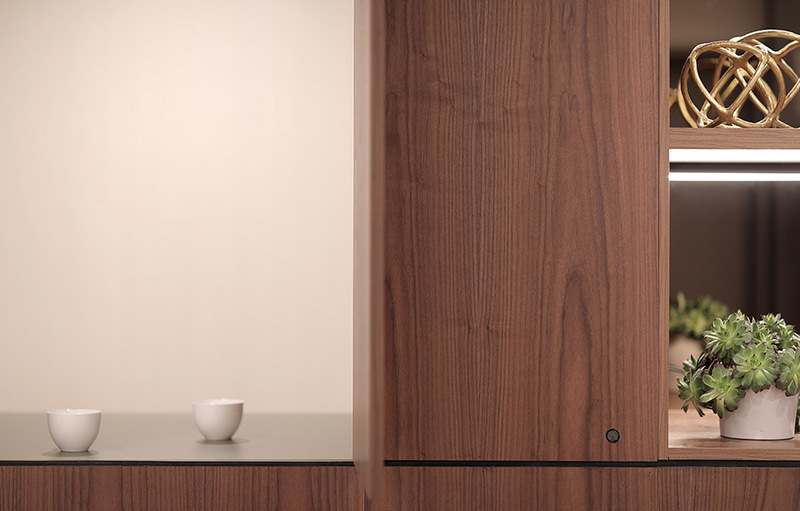 From the front the seamless walnut veneer face is punctuated by a coffee window revealing the coffee machine behind and a small waste bin built into the benchtop. 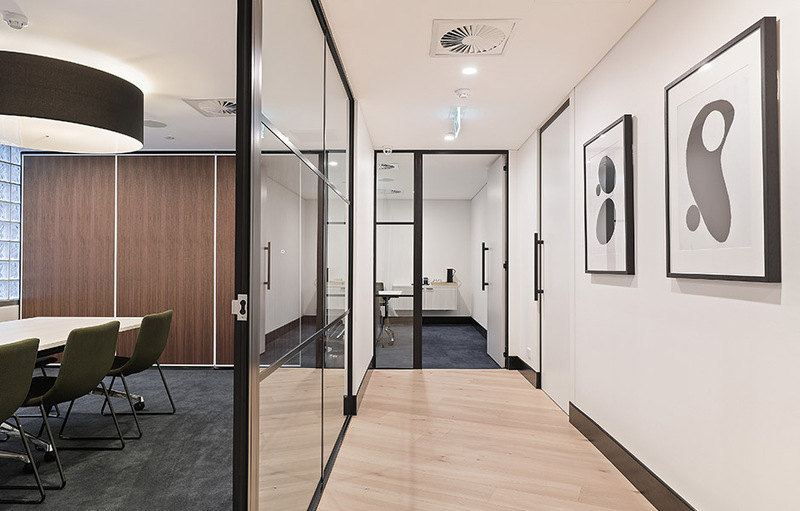 To support the break with convention, a custom workstation offers acoustic privacy which is important for people who are wanting to move from traditional office into an open work environment. 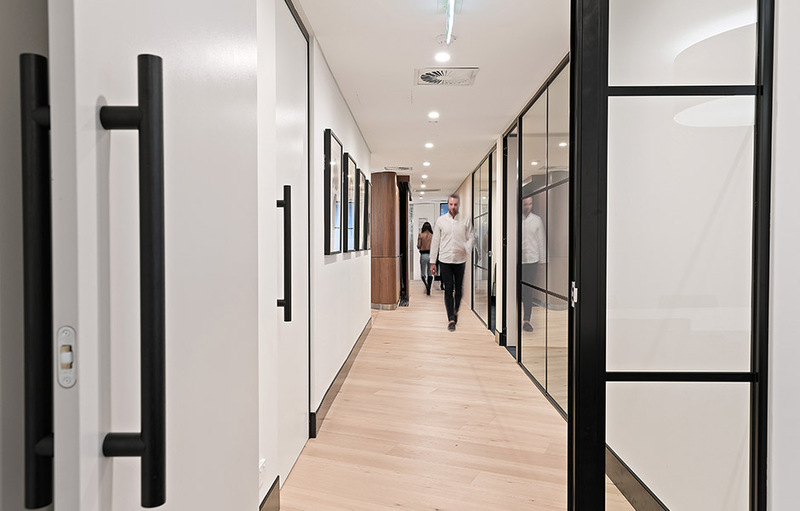 This unique system consists of a double height screen system that creates an implied ‘phone booth’. 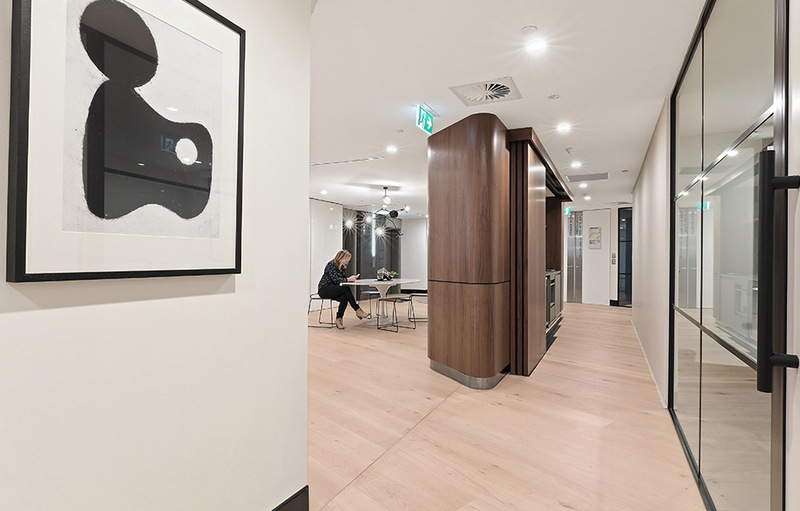 It delivers much better acoustic results, visual privacy and alters people’s perceptions of ‘being exposed’. 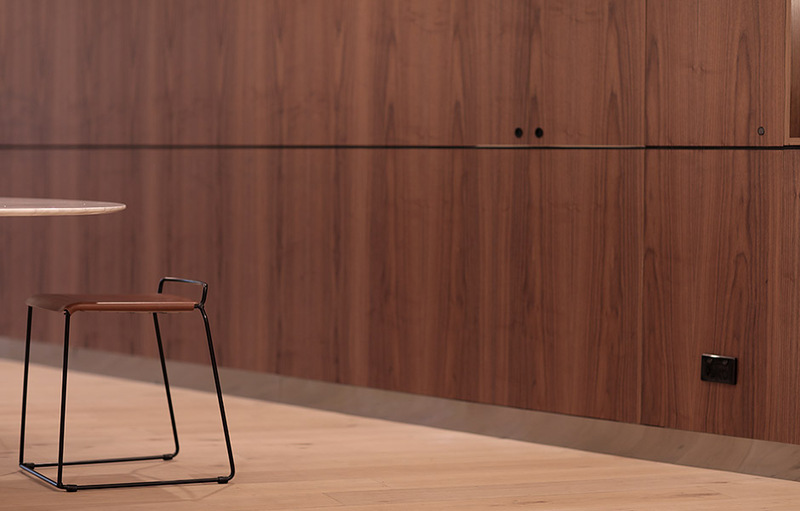 The generous 2.4m long workstation includes an L-shaped return that is electronically height adjustable doubling as a stand-up quick meeting point. YPOL is a specialist incorporated legal practice, focused on insurance, reinsurance and commercial litigation. On 1 September 2007, three of the leading insurance and commercial litigators of Phillips Fox joined forces with the established and respected insurance and commercial litigation specialist, Yeldham Lloyd Associates to create the firm.